For every homemaker, having a good collection of dinnerware is very important, so if you are one such then opt for this salad bowl to add to your kitchen cupboard. It has been made of a fine quality material that makes it pretty durable while ensuring a nice sheen all around. 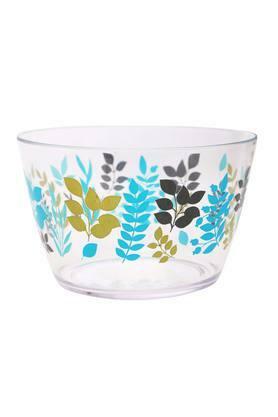 This salad bowl from Ivy will be perfect for hosting guests at your home.